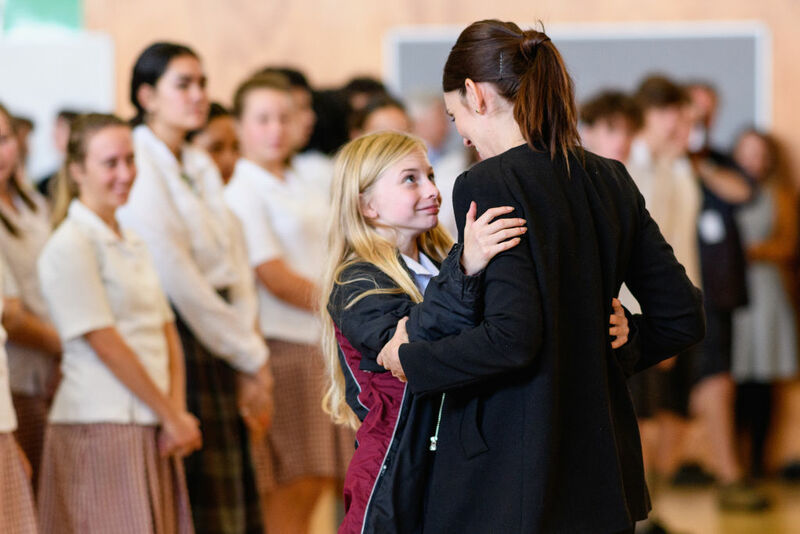 Prime Minister Jacinda Ardern has visited Cashmere High School, which lost two pupils in Friday's terror attack in Christchurch. Two current pupils and a former pupil of the school died in the massacre at two mosques in the city. She said it was "OK to grieve" and encouraged those who were struggling emotionally to call or text the free mental health line on 1737. "I also know a lot of people, as well as grief, will be feeling a sense of helplessness. [Asking] what can we do?" Some of the pupils performed performed a haka for the Prime Minister, and principal Mark Wilson said she had shown "real leadership that captured the New Zealand character and spirit". A very powerful photo, it bought a tears to my eyes. Why why can't we just accept we are all different and all live together, accept that we will have different views and respect them. Thats what makes New Zealand a wonderful place.